Behr, Bernd (2018) Another Moon. In: Special Collections Centre workshop, UAL. Public workshop in the Kubrick Archive, UAL Special Collections Centre, performing Reflectance Transformation Imaging (RTI) on a set of vintage black-and-white photographs of the model lunar landscape originally constructed for Stanley Kubrick's "2001: A Space Odyssey" (1968). 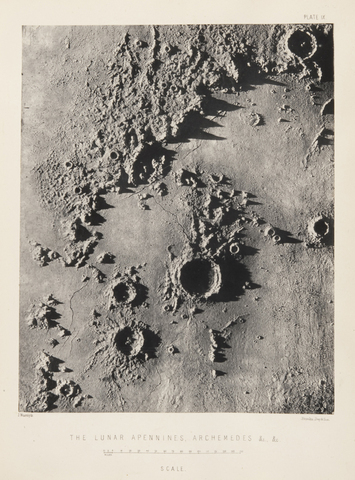 The production of new computational topographies through RTI scans in this archival encounter was contextualised by the role of the moon in the history of photography, orbiting around Victorian industrialist James Nasmyth's impossibly detailed studies of the moon's surface from 1874.